MONDAY, July 25, 2016 (HealthDay News) -- Inducing labor won't raise a pregnant woman's risk of having a child with autism, a new study suggests. "These findings should provide reassurance to women who are about to give birth, that having their labor induced will not increase their child's risk of developing autism spectrum disorders," said senior researcher Dr. Brian Bateman. He's an anesthesiologist at Massachusetts General Hospital and Brigham and Women's Hospital in Boston. One 2013 study had suggested a possible link between autism and induced labor using medication, such as oxytocin, the researchers noted. 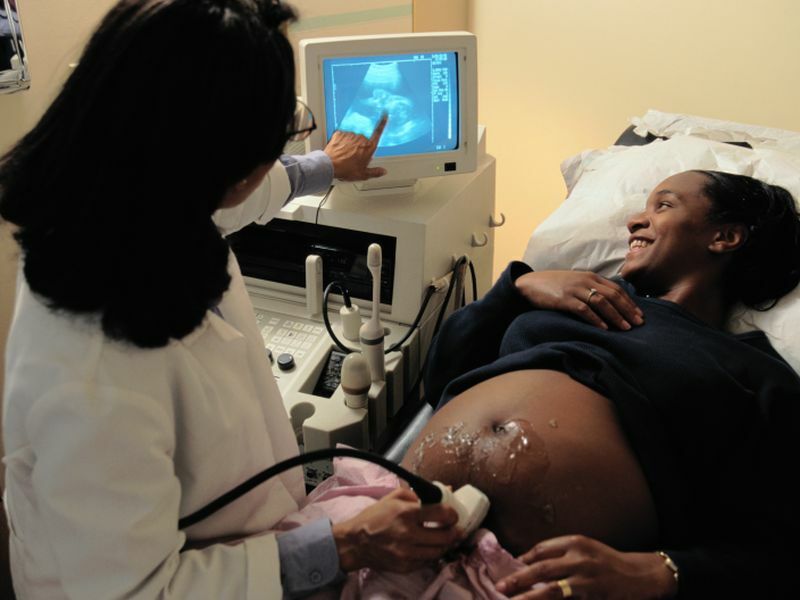 Labor induction is sometimes recommended when a woman's labor stalls and her health or the health of her baby are endangered. Since the 2013 study, many pregnant women may have had fears about being induced. So, Bateman's team of American and Swedish researchers, led by the Harvard T. H. Chan School of Public Health, decided to investigate the issue. They used a database on all live births in Sweden from 1992 through 2005, and looked at child outcomes for more than 1 million births through 2013, to identify any children diagnosed with a neuropsychiatric condition. They also identified all the children's brothers, sisters and cousins on their mother's side of the family. The health of the children's mothers was also taken into account. Labor induction was performed in 11 percent of the deliveries. These births often involved complications, such as diabetes, high blood pressure and preeclampsia. The researchers noted that 23 percent of the induced pregnancies were late deliveries (after 40 weeks of pregnancy). Nearly 2 percent of the babies in the study were later diagnosed with autism during the follow-up period. When just looking at unrelated children, the researchers did find a link between induced labor and a greater risk for an autism spectrum disorder. This association disappeared, however, once they also considered the women's other children who were not born from an induced labor. "When we used close relatives, such as siblings or cousins, as the comparison group, we found no association between labor induction and autism risk," said study author Anna Sara Oberg, a research fellow in the department of epidemiology at the Harvard Chan School. Explaining further, she said in a university news release that "many of the factors that could lead to both induction of labor and autism are completely or partially shared by siblings -- such as maternal characteristics or socioeconomic or genetic factors." Therefore, Oberg said, "previously observed associations could have been due to some of these familial factors, not the result of induction." Alycia Halladay is chief science officer of the Autism Science Foundation. She acknowledged that women have had concerns about induced labor and autism risk in children. "One concern has been around the exposure of the unborn child to medications which speed up delivery, such as Pitocin [the brand name for oxytocin]," Halladay said. "These medications are medically necessary when labor is not progressing and the health of the baby is in jeopardy." While the results of prior studies on this connection have been "mixed," she said that "this recent analysis using a large registry system showed that Pitocin was not a factor that increases autism." "Pregnant women have enough things to worry about," said Dr. Andrew Adesman, chief of developmental and behavioral pediatrics at Cohen Children's Medical Center of New York, in New Hyde Park, N.Y.
"If a woman's doctor recommends that labor be induced, the expectant mother should not worry about an increased risk of the child having an autism spectrum disorder," Adesman said. The study is published online July 25 in JAMA Pediatrics.